AGES 25+: UNLOCK your POSSIBILITIES on JUNE 8TH! DRINK SPECIALS DURING THE EVENT! MANY UPSCALE SINGLES FROM INDY & THE SURROUNDING AREAS EXPECTED TO ATTEND! ..:: The Claddagh Downtown PARTY INCLUDES ::.. Multiple Drink Specials during the event! Free admission into Claddagh Irish Pub (No Additional Cover Charge to stay after!) , the opportunity to massively mix, mingle, make new friends, & who knows what else! Join Us for our next Indianapolis Lock and Key Event. It's the interactive and FUN way to socialize, make new friends, meet your match....or just to have a great time! We are THE Lock And Key Events you've heard about! Grab a cocktail and get ready to Unlock Your Possibilities. Lock and Key Events transform a regular happy hour by adding the ULTIMATE ice breaker theme. It's like no other party you have ever attended!!! With your lock or key, you now have a reason to talk to anyone and everyone you want! What a great way to unwind after a long work week...or kick off a night on the town! Call (317) 908-7684 or 1-877-565-3836 (1-877-LNK-EVENT) or email Indy@lockandkeyevents.com for more information. Do it and get a ticket for the prize drawing at 9:30 PM, more tickets = more chances to win! 2. 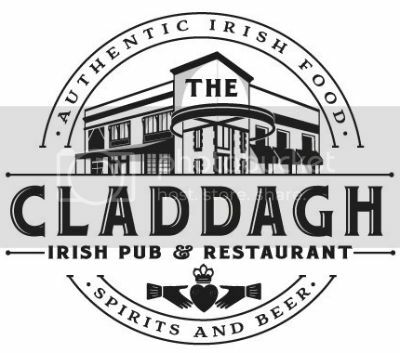 REMEMBER, If you are lost, call Claddagh Irish Pub (downtown) at (317) 822-6274 or us at (317) 908-7684. Claddagh Irish Pub (downtown) is located at 234 South Meridian Street in Indianapolis, IN. Near the intersection of S. Meridian Street and West Jackson Place. Or try Google Maps Directions. Just look for our Check-in Table! Special VIP entrance for prepaid guests!! PRIZES YOU CAN WIN at CLADDAGH IRISH PUB (Downtown)!